“After decreasing for nearly 20 years because of the hard but necessary work our country started in the 1980s … the murder rate surged nearly 11 percent nationwide in 2015 – the largest increase since 1968. Per capita homicide rates are up in 27 of our 35 largest cities,” Sessions said. According to attorney general, the keynote speaker for this year’s Alabama Law Enforcement Coordinating Committee conference, an event held at the Perdido Beach Resort in Orange Beach, Ala., the statistics are a troubling sign. He also indicated a renewed commitment to fighting illegal guns. 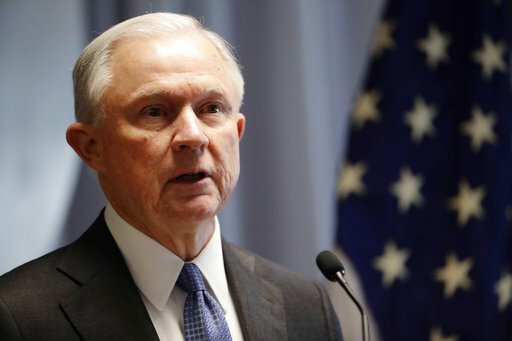 Sessions, who previously served as U.S. Attorney for the southern district of Alabama, also reminded attendees of the administration’s new policy concerning the use of surplus military supplies. “Earlier this week, the President issued an executive order that will make it easier to protect yourselves and those you serve. This order rescinded restrictions from the last administration that limited your ability to use federal programs to get life-saving equipment like Kevlar vests and helmets and first responder and rescue equipment,” Sessions said. The 30th annual LECC conference was sponsored by the U.S. Attorney’s Offices for the Southern, Northern and Middle Districts of Alabama.